I FIRST met Donal Boland at a Shannon Boat Rally which he attended in his Humber barge, the James and Mary. Having recently come to Ireland from the waterways of the Midlands I was immediately attracted to the boat, one of the former Waddingtons barges; to say I was surprised to see one in the country was an understatement. 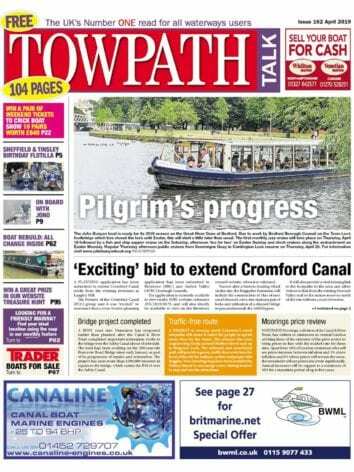 Needless to say, partly because of this Donal is a well-known and recognised figure on the waterways of Ireland. Donal has spent recent years exploring some of the lesser-known quiet spots on the mid-Shannon, the section of river which links together its largest two loughs, Ree and Derg. Now 20 of these places have been combined with 10 better-known designated moorings in a new book which is sure to prove popular with the more intrepid boaters among us. Spiral bound with a plastic splash-proof cover, the book will make a good addition to the chart table as well as the boater’s bookshelf but be warned it is stated that it shouldn’t be used for navigation purposes. Those deciding to head off the marked routes do so at their own risk; however with careful negotiation and basic navigation skills there is no reason why these quiet anchorages and moorings cannot be accessed by any competent boater. 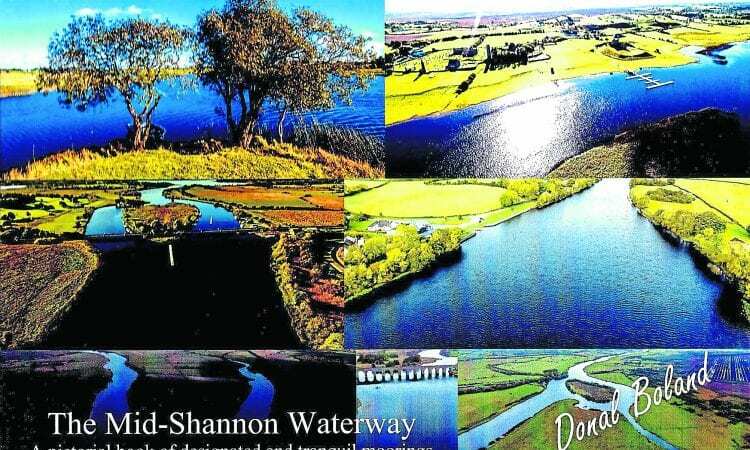 Complemented by a number of beautiful aerial photographs taken by drone and showing step-by-step instructions on how to access these places as well as maps and Irish Grid locations, this is an exciting publication which offers a new perspective on a section of the Shannon often rushed through. Donal must be congratulated for not only bringing these hidden gems to the forefront but presenting them so beautifully in this visually stunning production. 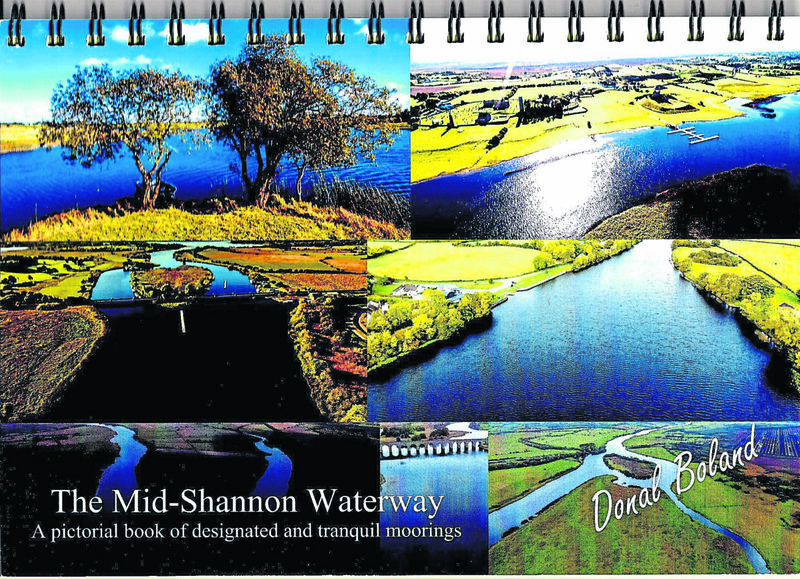 The Mid-Shannon Waterway – A pictorial book of designated and tranquil moorings by Donal Boland is available from the IWAI bookshop and is priced at €20 plus p&p.